We used five different types of carpet cleaners for this competition. For example, the Bissell Big Green machine uses one extra-large brush roll. The Hoover SteamVac uses a set of spinning brushes. The Rug Doctor uses a vibrating brush. The Kirby uses a dry foam method. And the Bissell Proheat 2x Revolution Pet Pro uses two sets of brush rolls. We applied Georgia red clay to our medium pile test carpet, let it dry for 24 hours, and vacuumed up the dried debris. All of them used the basic version of the shampoo with no pretreatment. For the first test, we did four passes each: two with the water trigger pressed and two without. 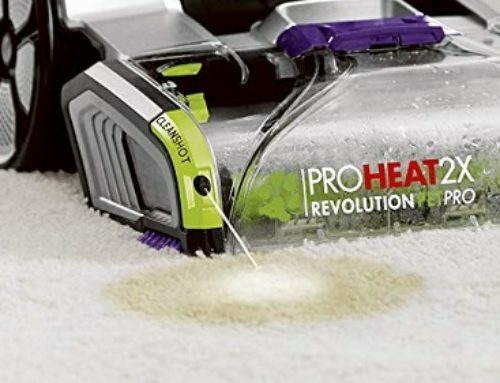 The winner to this point was the Bissell Proheat 2x Revolution Pet Pro, with the Rug Doctor Wide Path coming in second, and the Hoover SteamVac third. Here’s a quick edit. I realized that when I was testing the Bissell Big Green machine, I did not have the handle reclined and apparently the brush roll does not spin unless the handle is reclined. When I retested it, it did at least as well or possibly a touch better than the Rug Doctor Wide Track. The rankings will reflect this. We then repeated the process adding two more dry passes and the results were pretty much the same with the Bissell Revolution the clear winner. I have to say that the Bissell Proheat 2x Revolution was very impressive. It’s the second cheapest unit of all five we tested and it still blew the competition away. It comes with two types of handheld units for cleaning stairs or upholstery and the hose was the easiest of all five units to attach and use. It has a feature called clean shot which is a foot pedal that shoots cleaning solution onto particularly tough stains. But the thing that really impressed me, besides it being really cool-looking, was its ease of use. It really was like using a vacuum cleaner where you can clean on both the forward push or the backward pull. It’s the lightest of all five and it makes you want to clean very fast because you can, but really, it’s best to go slowly for better results. So yeah, it’s the best carpet cleaner I’ve seen to date. Some notes on the other units. I was surprised at the lackluster showing of the Bissell Big Green machine as I’ve seen other demonstrations where it did very well, even better than the Rug Doctor. The unit I used was a rental so that could have played a role. It still did pretty good, though, and it was a bit easier to use than the Rug Doctor with its ergonomic handle. It also has a very effective stair or upholstery cleaner. The Rug Doctor Wide Path is a little bigger than the typical Rug Doctor rental units you see. 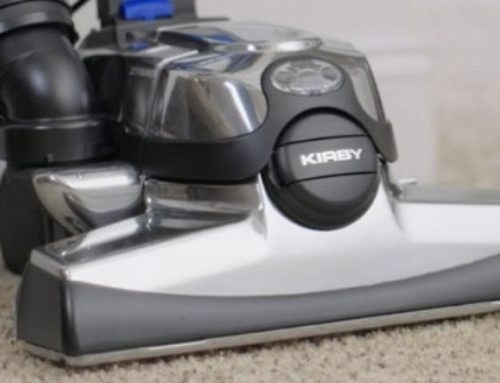 It did very well with the main negative being that it’s a very big machine and not easy to maneuver, but as the name suggests, it has a very wide cleaning path, an effective stair tool. It’s probably the most sturdy unit in the test and I expect it would last a long time. The Hoover SteamVac is the cheapest in this competition, and I have to say, I wasn’t expecting it to do as well as it did. 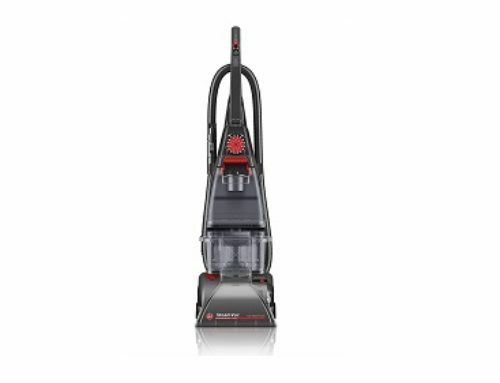 Like the Bissell 2x Revolution, it has a more vacuum like compact design, and with its spinning brushes, it can be used in other ways, like various hard floor cleaning applications. It also has a stair tool that you can attach and it probably was my favorite stair tool of the lot, even though it was a bit more complicated to attach. The Hoover SteamVac is probably the best choice on a budget. The poor Kirby and its dry foam method is sadly a bit dated. We didn’t give it a fair chance in this competition since it really requires a lot of drying time and subsequent vacuuming to work, but based on a previous test we did in which it lost badly to the Hoover, I felt it was justified.